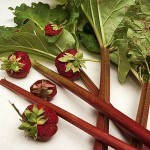 I think that Strawberry Rhubarb Pie for many is a flavor that needs to be cultivated. 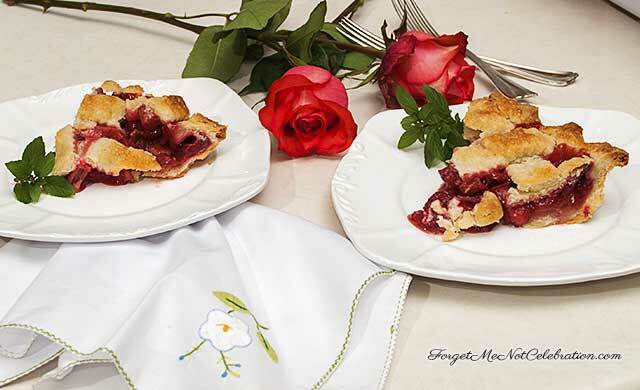 That is not the case for me, since I love the combination of sweet and tart that is typical of this wonderful pie. My uncle always had a rhubarb patch that he was willing to share with anyone that loved this vegetable. Yes rhubarb is a vegetable, but that is another story. When he passed away, I decided that I wanted my own patch of rhubarb. 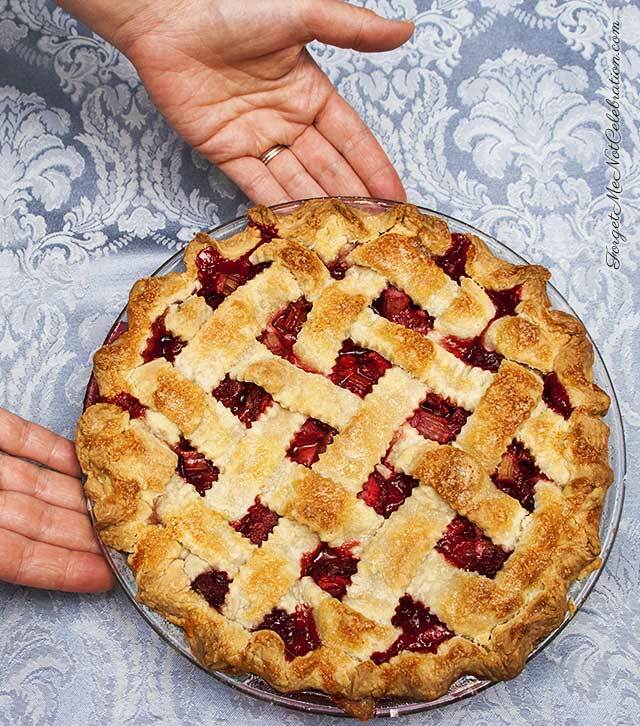 As the glorious red stalks started to grow from the ground of my garden, I was anticipating this delicious pie. 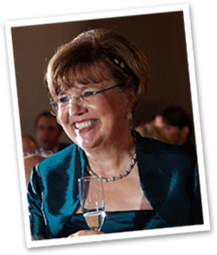 Art Smith’s recipe for Strawberry Rhubarb Pie is an amazing dessert. Whenever I serve this pie, the results are always beyond expectation. My niece had a pie night every fall for many years. This pie was always requested. I think the combination of a cream cheese crust with the sweet strawberries and rhubarb filling is irresistable. Mix the cream cheese and butter in a medium bowl with a hand held mixer on low speed. Add the flour, sugar and salt and mix until the dough clumps together. Divide the dough into 2 thick disks, one slightly larger than the other. Refrigerate for at least one hour. Place the oven rack in the center of the oven and preheat to 400 degrees F.
On a lightly floured surface, roll out the larger disk of dough into a 1/8” thick circle. Place the dough in a 9” pie pan. Refrigerate while making the filling. 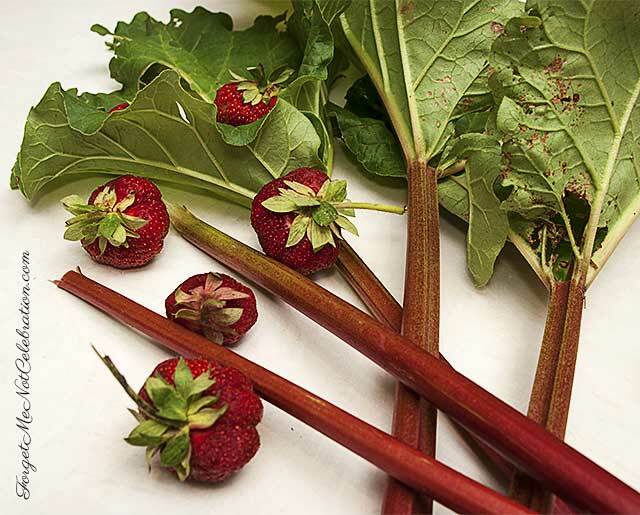 Toss together the rhubarb, strawberries, sugar, flour, vanilla and lemon zest. Let stand for 15 minutes until the fruit begins to release its juices. Pour into the pie shell. Roll the second disk into a 1/8” thick circle. Using a pastry wheel, cut the dough into ¾” wide strips. 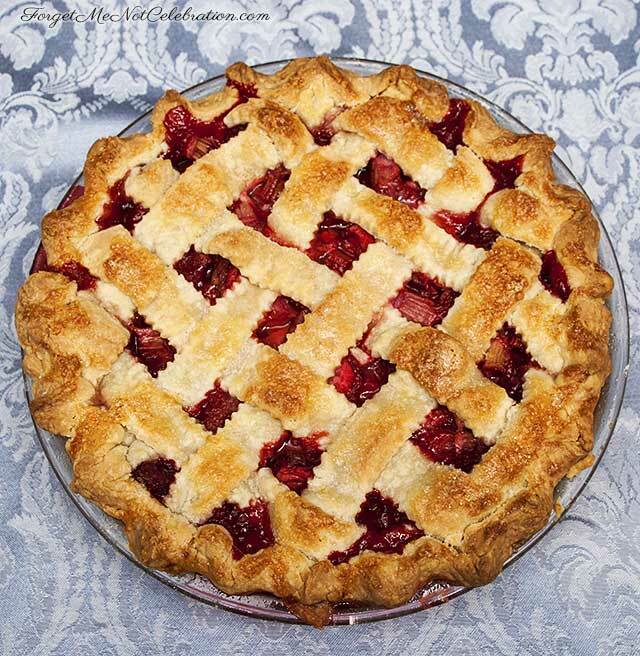 Arrange the strips across the top of the pie in a lattice pattern. Fold the edges of the bottom crust over the ends of the strips and flute the edges. Bush the lattice strips with some beaten egg white. Sprinkle the crust with sugar. Place the pie on a baking sheet. Bake for 10 minutes. Reduce the oven temperature to 350 degrees F. and bake until the juices in the center of the pie are bubbling, about 45 to 55 minutes. Cool completely on a wire rack. The combination of strawberry and rhubarb was delightful! This recipe is pie perfection. Oh, I wish I had a slice right now!! I agree with you Michelle. Thanks for commenting.